Do you love to sing? Are you an experienced singer? Or maybe an enthusiastic new singer? If you love music, come sing with us and share your enthusiasm and talent. Join us for one night or more. Watch a typical rehearsal. Check out our song list. Join in. It might change your life. Enter from the parking lot on the east side of the building and go downstairs. Email info@thunderbirdchorus.ca for directions or a ride. It's easy, it's fun, and you can do it too! 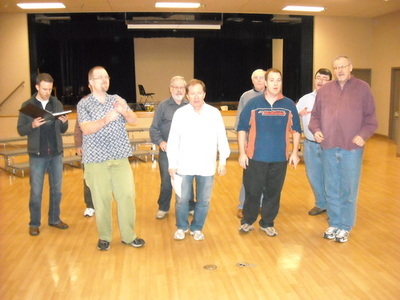 A balance of traditional, a cappella (voice ﻿only) and barbershop styles. You'll find lots of opportunities to learn more about your voice and how to use it. 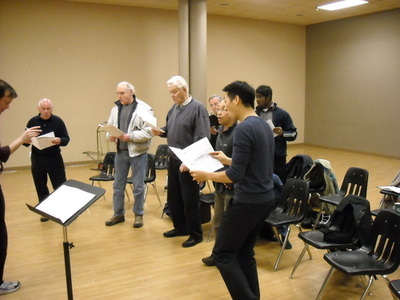 Weekly rehearsals, quarterly workshops, regular coaching sessions and the Barbershop Harmony Society's instructional materials help us all improve together. If you're looking for a great way to relax and learn a new skill in the middle of a work week, this is the hobby for you! Visit us now! We are ready to teach you a tag and join you in song. The Thunderbird Chorus is looking for a few good people! Make time for us and you won't regret it! We find that many people are looking for novel activities to try - are you one of them? Come Sing With Us! We are a diverse group of people who love to sing in four part harmony. We welcome men, and lower-voiced women who can sing in the male range. 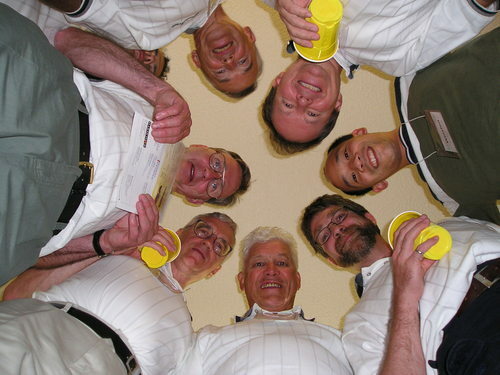 If you'd like to experience the thrill of being a part of a musical chorus or quartet, then check us out! What do you get every Wednesday night at a rehearsal of the Vancouver Thunderbird Chorus? Great music, learned quickly and sung well. If you want a musical experience every week, come join the Thunderbird Chorus. You can look forward to two competitions a year, monthly public performances and a busy Christmas schedule. 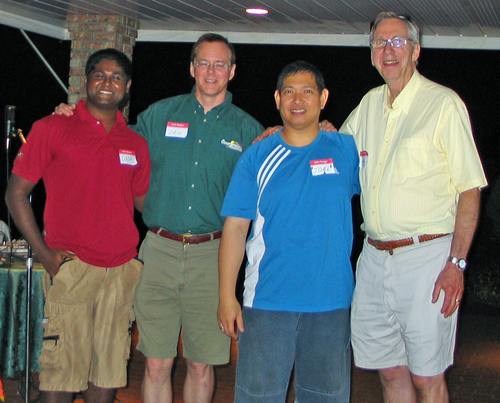 Add some great musical fellowship and you have the best hobby around! Come on out and see for yourself! 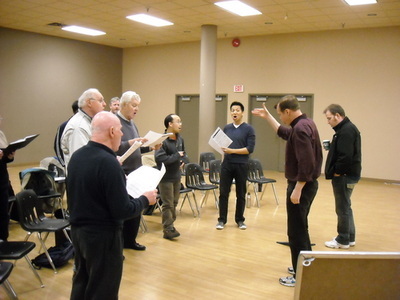 Singing is a great hobby - healthy, fun, long term - and right now, the Vancouver Thunderbirds are welcoming new members. We are here to sing! How about YOU?